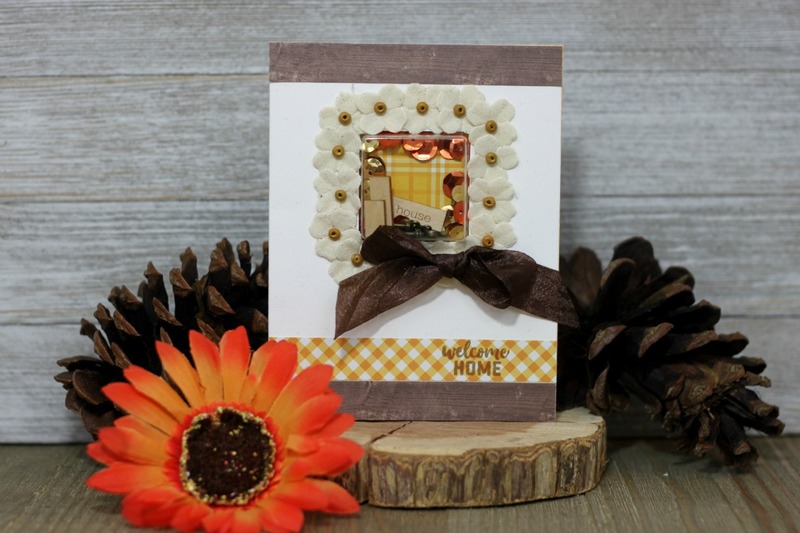 Here is a welcome home shaker card for the fall season. This would also be a nice Thanksgiving card for family. The base is a square shaker card and insert, then I simply added some flowers around the insert to make a wreath. Then I added some of the new orange plaid paper from the “All About Plaid” paper pad. The rustic touch was from some Farmhouse Stew wood pattern paper.